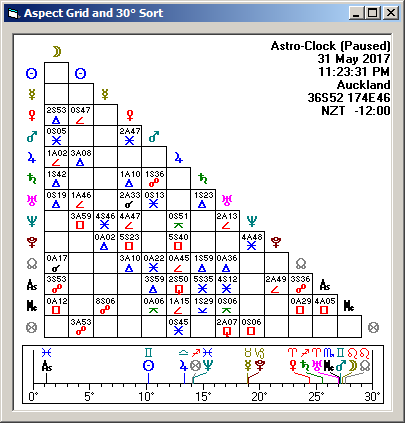 Accurate natal charts calculated quickly and easily using the latest ACS Atlas files. Latitudes, longitudes and time zones can be calculated with ease via the built-in ACS Atlas. Create, copy, edit and delete Astro Spark and Solar Fire® charts If you already own Solar Fire® then you can use your Solar Fire® charts directly, including editing, copying etc. You can also read, copy, edit and delete Solar Spark charts. Save new or edited Astro Spark charts and any Solar Fire® charts (v5 and above) that you have opened. 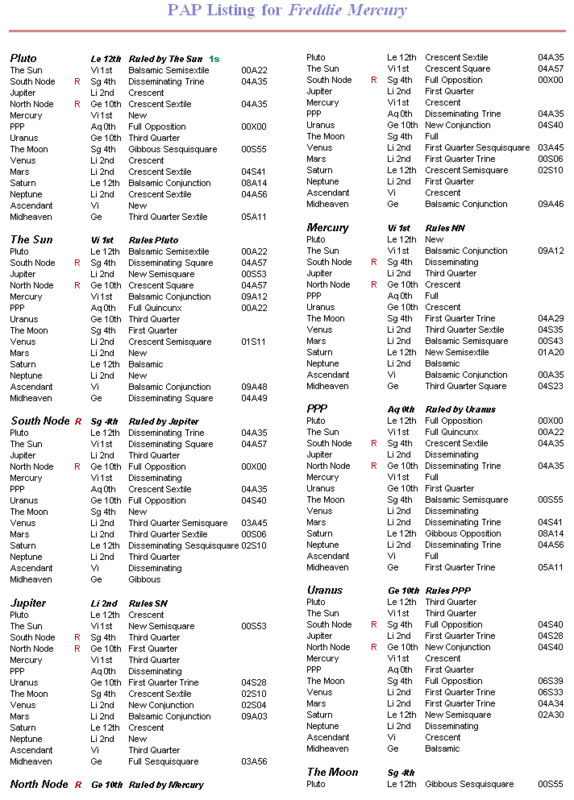 Astro Spark always saves these charts to Solar Fire chart files. The ability to also open and fully display natal charts created using Astro Gold, Nova, Blue*Star & QuickCharts astrological software. Simple and easy-to-read interpretation report with text by Astrologer Stephanie Johnson. 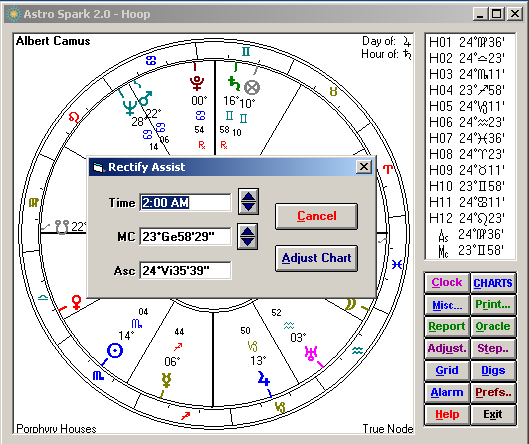 A brief report can be printed out from Astro Spark thus enhancing your natal chart work. The text has been written in a simple format which is easy to read and handy to give to clients, friends and family. 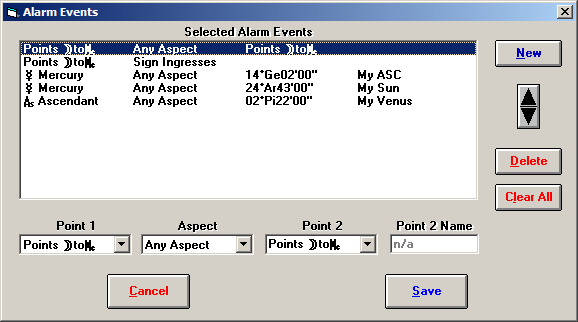 Switch to an aspectarian for whatever chart is on the screen simply by clicking on the Grid button. Full aspecting information is presented in the familiar ‘grid’ style as well as the 30 degree ‘ruler’ layout. 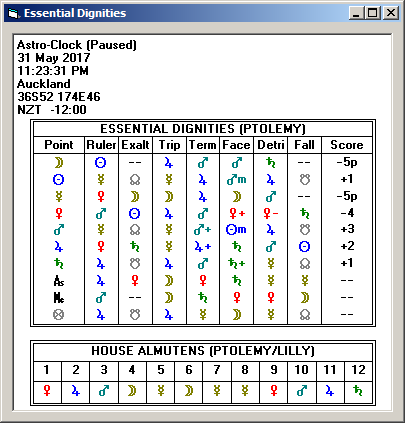 Essential Dignities Table and House Almutens: Pop up a dynamic display of the Essential Dignities of the planets according to Ptolemy with a listing of all the house cusp Almutens for the displayed chart. Print elegant charts with or without the Aspectarian OR Essential Dignities table. Quickly adjust the chart’s time, or its ASC or MC position, on the fly using the Rectify Assist tool. Use the Sabian Oracle to answer questions or to enrich your delineations. Astrologer Lynda Hill’s interpretation of the Sabian Symbols is insightful and relevant to today’s modern world. At the click of a button you can use it as an oracle (random reading), choose the degrees of the Sun, Moon, MC or Asc or select your own degree. Set alarms to signal specific transits, for planetary events or transits to your own Natal Chart. These can pop up (even while you’re working in another program) as silent messages or be accompanied by an alert sound. Watch the transiting planets whirl around the chart: Move the chart forward or backward in time. First you set the time interval, then you can start manually stepping by seconds, minutes, hours, days, weeks, months or years. You can also just set it going and let it run on auto until you stop it. 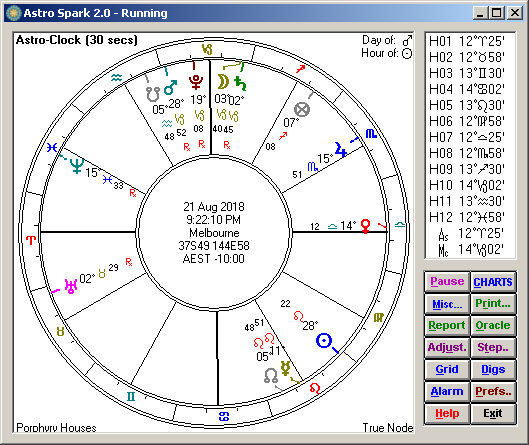 Planetary Hour and Day: Astro Spark displays the planetary hour and day, useful for the gardener, or anyone electing a time for action, as well as the horary astrologer. Public Chart Data: Now you can explore the charts of famous people with The Australian Data Collection, featuring 440+ accurate charts of prominent Australian people and events. Maximize Charts and Glyphs: Double-clicking on the top title bar maximizes the size of your chart and glyphs. This is ideal for the vision-impaired astrologer. 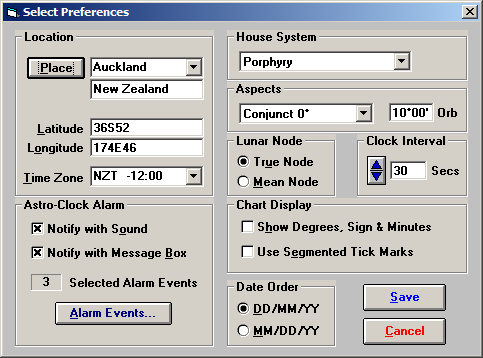 Choice of Buttons or Menu: Simply double-clicking on the background of the main screen switches between using a Menu or using Buttons. Get instant extensive on-screen help whenever you need it by pressing F1 anywhere in the program (context sensitive), or select whole help topics to read, or search for specific help using keywords. Have two chart files open at the same time and to move back and forth between opened chart files instantly with a single mouse click, also display a chart from either file instantly with a single mouse-click. Chart files open at the end of a session are automatically re-opened at the beginning of the next session. Create comments for individual Astro Spark and Solar Fire® charts: For v5+ Solar Fire® chart files and new charts created by Astro Spark, you can add and edit comments for each chart. 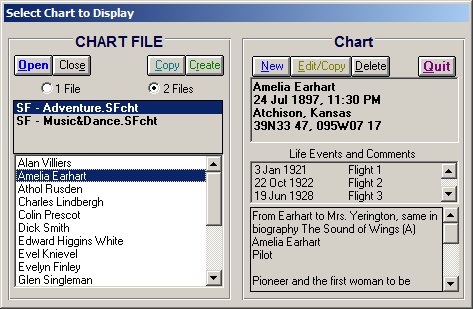 View any events a chart may have been assigned in Solar Fire®: For v6+ Solar Fire® chart files, Astro Spark displays any events for a chart if they have been previously created for that chart in Solar Fire. 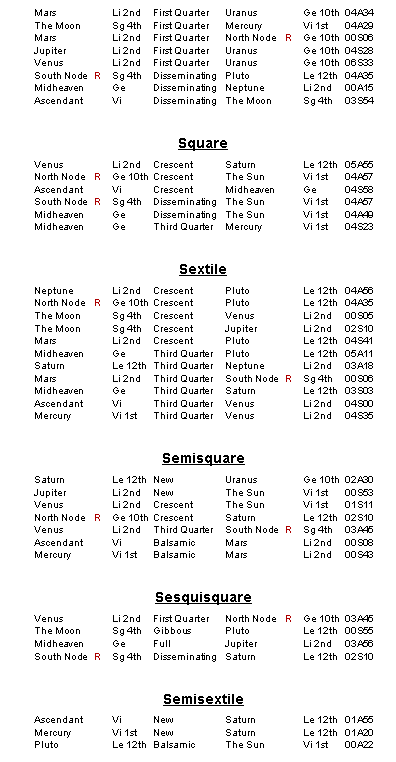 Find the near and far midpoints for any 2 zodiacal positions. 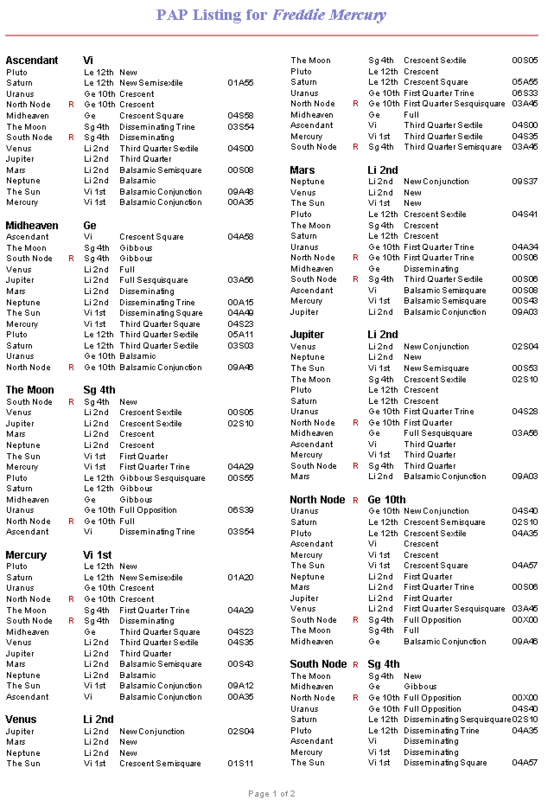 Below is the first page of the same kind of report (a PAP Listing), but instead with the points ordered according to Evolutionary Astrology’s Planetary Method (the EA Planetary Method sort option in the menu above). NOTE: The “1s” on the Pluto headline: this says there has been one primary life before this one where the soul has been working on the its current set of karmic and evolutionary requirements, and that the current life however is a secondary life. Astro Spark will run on all current Microsoft-supported versions of Windows (except as noted below). Older versions of Windows are NOT recommended. Windows 8 RT and Windows 10 S do NOT run Astro Spark. Astro Spark is available only as a download (** downloaded programs are not refundable **).